Here’s what’s been on my mind lately. 1. Perimeter Institute concert series. Last week, I attend Finnish pianist Juho Pohjonen‘s concert at the Perimeter Institute. What an enjoyable evening out! The Perimeter Institute – PI – is one of my favourite buildings in Waterloo. It’s an impressive building that is on the edge of Waterloo Park, and I certainly enjoy the (mostly) white interior. 2. Anne. I (rather quickly) binge-watched Anne a couple of weeks ago. Surprisingly, I’m eager for more episodes. Does anyone know what’s going on with this series? It brought me back to my childhood, and I’d happily watch a few more episodes. 3. Winter boots. I’m already so tired of wearing winter boots. I enjoyed Carly the Prepster’s winter boot post, and I smiled when I read it because I have just about the exact collection (and then some). Multiple boots are a must for our winter weather, especially when you have outdoor activities to do each week. 5. 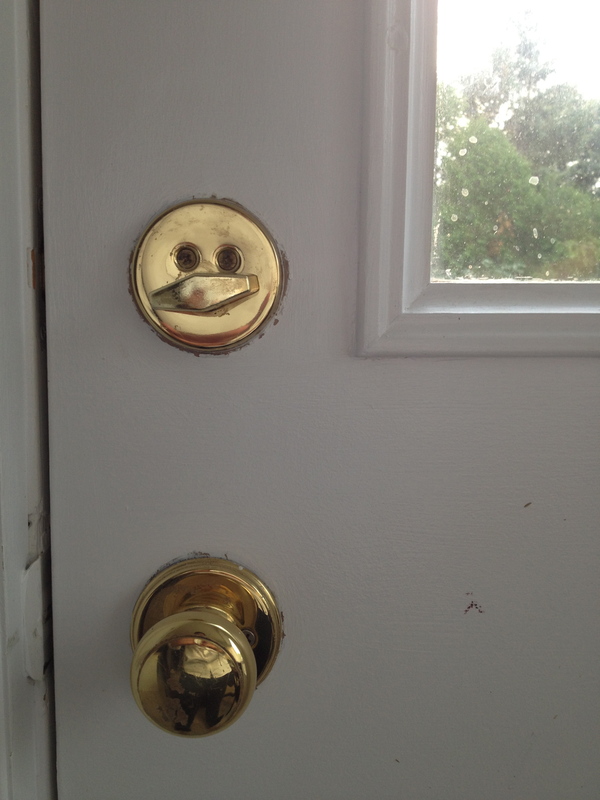 Door knobs. I’m thrilled to be working with Direct Door Hardware again this year. I worked with this company when I first moved into my house because I replaced all of my exterior door locks and knobs. The selection was awesome, and I really enjoyed the interactions I had with the company staff, so I was happy to work with them again on my door makeover project. My knobs arrived last week, and they’re so nice. Do you want to see them? Great! I’ll be sharing more news of this project in the months ahead. My powder room isn’t quite done but it’s almost done. I’m hoping everything will be working and my mirror will be up next week. 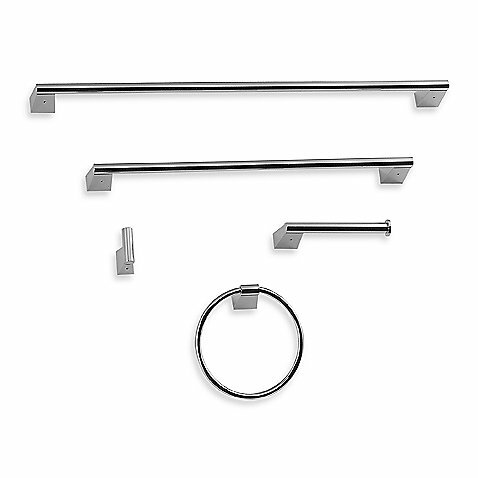 I haven’t yet ordered my towel bar and toilet roll holder but here are some of the options I was contemplating. 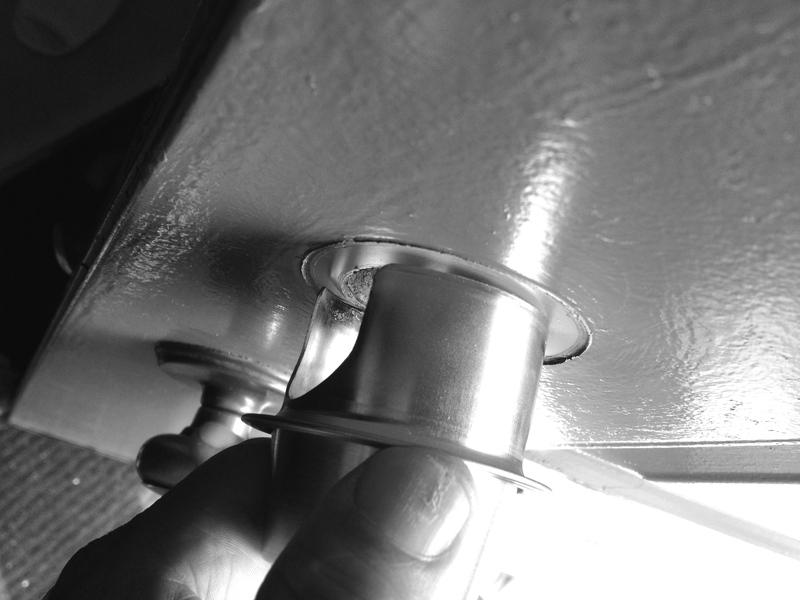 Way back in July when I took possession of my new home, I had thought that one of the quickest changes I was going to make was to change the door knobs. I could have taken an easy way out and just replaced the actual key lock part of the knob but the existing knobs were old and so I thought it would be wise (and straightforward) to replace them completely. The task started off quite well. 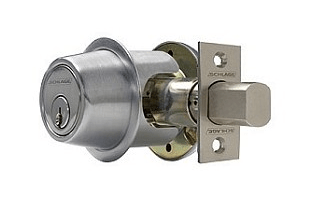 I used the measuring guide on the Direct Door Hardware website and the kind people over at Direct Door Hardware sent over some simple, stainless Schlage knobs and matching locks. I thought the job was going to take half an hour (tops!). 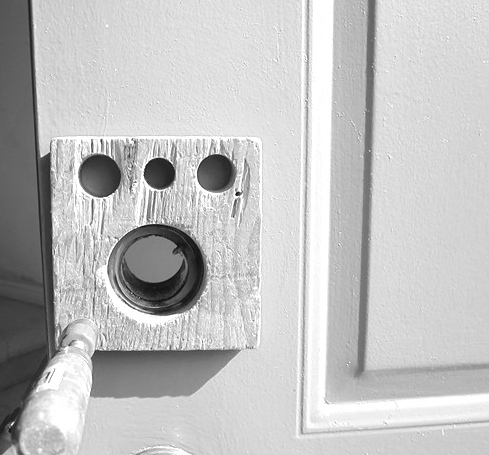 My dad and I took out the old knobs in one of the doors and that’s when we realized that the new Schlage sets would not fit because the bore hole in my door was too small for the lock sets (didn’t think to measure that before I ordered the locks). This was the case for all the doors. I was pretty disappointed. After a bit of research I learned that it would be unlikely to find high quality locks to fit the small bore holes. Plus, I really wanted to use the new stainless sets. I went back to the Direct Door Hardware people for advice (thanks Jake E.!) and thought about my options. 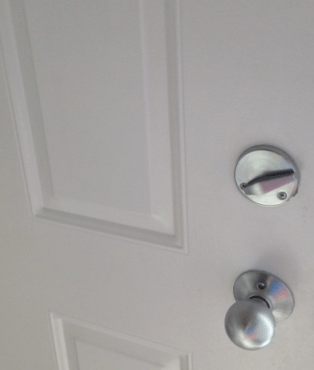 I was reluctant to let the knobs go to waste so I decided to hire a locksmith to cut new bore holes in all my doors. 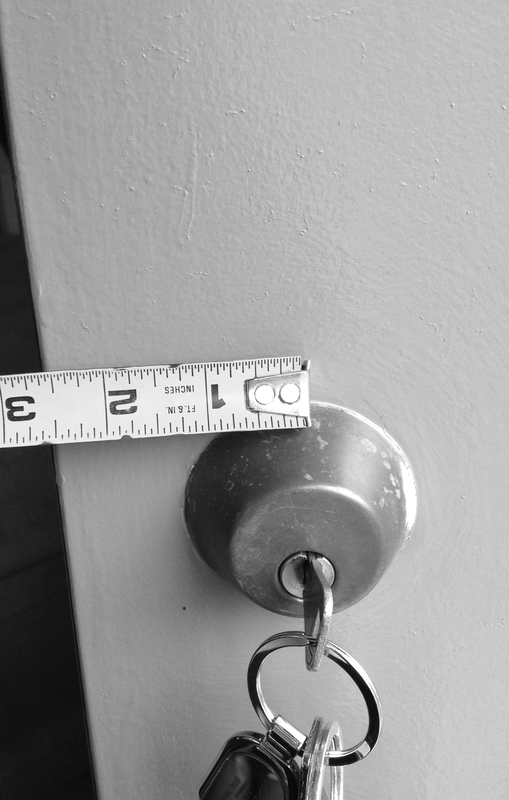 I didn’t tackle this task on my own as, in addition to having metal doors, I didn’t have the appropriate tools, and I was too impatient to try measuring anything out by myself. It’s good to admit when you need help, right? Something like that. Anyway. I’m happy to report that the door knobs and locks are in throughout my house and they are working out perfectly. I’m happy with the strength and simplicity of the set I ordered, and the service at Direct Door Hardware was quick and informative. I’m also happy that I decided to hire the locksmith to get the bore holes to a standard size. This will give me more flexibility later on if I decide to install another new set. 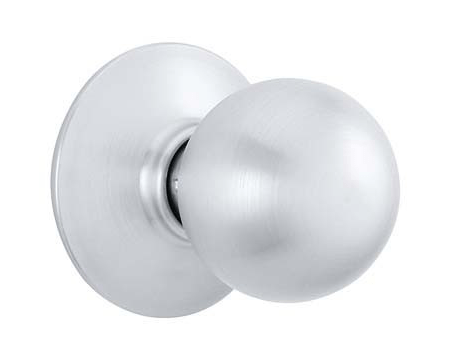 I did a quick Google search for door knobs and landed on Direct Door Hardware. 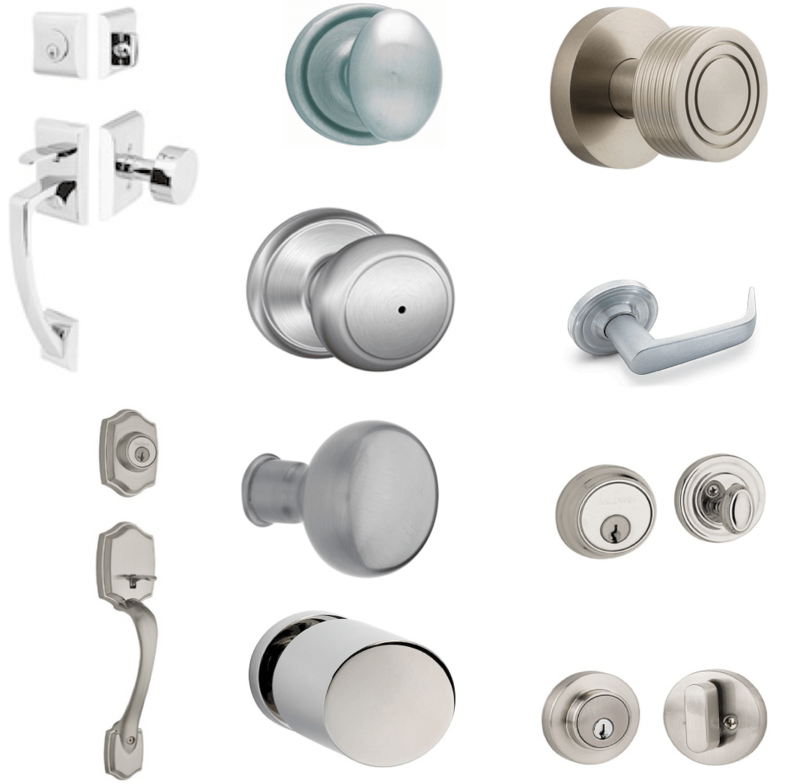 The site is pretty easy to navigate but the company has such an extensive selection of door knobs and locks that it is easy to get confused. Instead of getting overwhelmed, I narrowed down my knob search by function (residential), style (basic) and finishes (nickel, chrome) and then I did what any new homeowner might do – I asked my parents. They recommended the Schlage brand so that’s how I narrowed down my choices even further. From there I read the descriptions for each product and I took the measurements as per Direct Door Hardware’s instructions and placed my order. 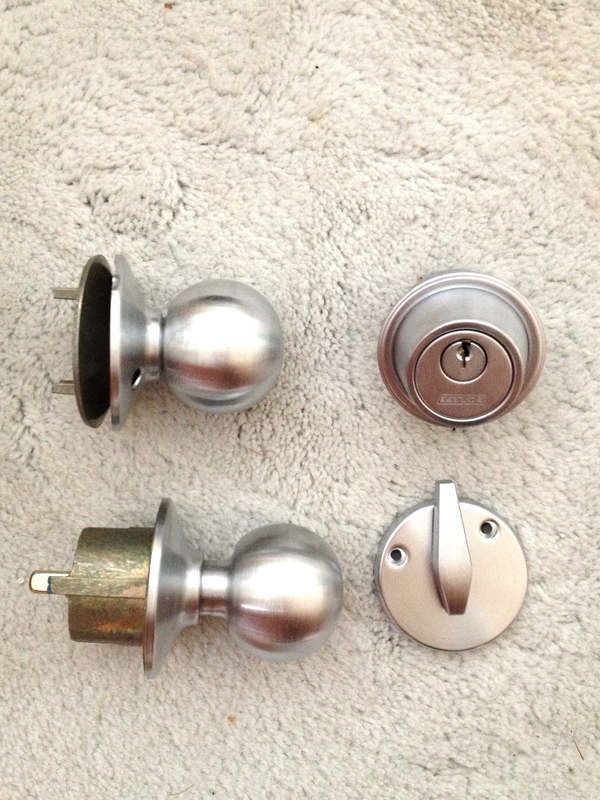 I settled on the affordable Schlage Orbit keyed doorknob and matching Schlage deadbolt for the four doors that I have in my place. The knobs & locks arrived last week and I couldn’t be happier with the choice I made. They look great and I am going to love the consistency that they are going to bring to the doors at my home (I’m currently dealing with a few different finishes). Stay tuned for a report on the installation process. My dad said it’s “easy”. Uh huh. 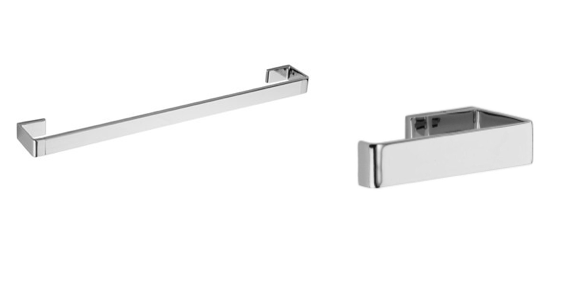 Images courtesy of Direct Door Hardware. Many thanks to Jake E. for his assistance with my order. The Uptown series documents my experiences as a new homeowner. Fun times ahead!